Given that nearly 70% of people who use drugs regularly also hold a job, lots of employers are still fighting the drug war on their own turf. If you’re wondering what companies do hair follicle testing for drugs and alcohol, the fact is that it depends on the job. Not every employer in every industry is the same, so each one is entitled to come up with their own rules. Here are five types of jobs that do this kind of testing. If you’re in the trucking or transportation industry, you know how important it is to be aware and alert while you’re on the road. Truckers log hundreds of thousands of miles on the road every year while they drive some of the longest and most dangerous highways out there. Truckers are there to get the goods to where they belong no matter the weather, on holidays, weekends, and during hours when no one else is driving. While we may one day have highways that are populated with autonomous vehicles that never need to sleep, until the day we do, drivers get tired. Tired drivers are just as bad as drivers who are under the influence. Drivers who are under the influence while driving are deadly. 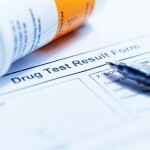 If you’re in the transportation industry, expect to be tested for drugs. Whether you’re moving cargo, people, or nothing at all, every driver should expect to be tested. The insurance costs are often far too high for companies to take any risks on the road. When you’re on the floor or a warehouse or a manufacturing plant, you’re surrounded by people whose work often looks like a ballet. The way that people carefully dance around one another while avoiding accidents is an impact of training and a little bit of magic. Throw drugs or alcohol into the mix, and you’ll find that everything can go downhill fast. Reaction times slow down, people misuse machines, and workers can get in the way of heavy machinery. If you’re driving a forklift or another piece of heavy machinery at work, expect that employers are going to test you sooner or later. Not only does this help to prevent incidents, but it also ensures that their insurance costs stay low. When employers ask for drug tests on people working with their heaviest and most dangerous machinery, they keep everyone safe. While it might feel like a violation of your privacy, as someone who is working alongside someone using one of these pieces of equipment, you’ll feel safer. This catch-22 can be hard for some employees, but most would rather err on the side of caution. Much like the previous two examples, this one can be categorized underneath the same concerns about heavy machinery. When you take some of the risks out of working with these tools on your site, you don’t have to worry about as many injuries. Not only do workers appreciate this extra level of safety, but it puts everyone in the mindset to think about safety at all times. Construction is one of the most dangerous industries around, and when employers take safety seriously, it’s welcome to everyone. Construction sites where no one is abusing drugs also get projects done faster. For contractors who get work done quickly, it’s easier to win more contracts with other developers. That means that everyone working for the contractor benefits from the added level of safety. While we think of tech companies as a relaxed environment where everyone is eating snacks and wearing hoodies, it can be much more of a high impact sport. The people working at the biggest tech companies around might not test for drugs because they test for so many vital skills. However, the companies who are competing for space with those tech giants might. Anyone working in the financial offices of these tech companies is probably going to be subject to testing as well. While the creatives who make all the decisions about what gets built can think freely, the people managing the money need to have their heads on straight. Most tech companies start out working on such narrow margins for so long that it’s vital that every dollar is spent wisely. When companies are under pressure to grow or are still trying to find their footing, they might not be as lenient. At the same time, since everyone wants to work for the biggest companies in the market, they can put up whatever hurdles to entry they want. If you end up working for the federal government, expect that you’ll end up having to take a drug test. While you might not have to do anything dangerous or that you feel is very challenging, working for anyone from the post office to the FBI could require a test. Even if you live in a state where marijuana is legal, you’ll find that it’s not always easy to get a pass on that. Marijuana is still a schedule 1 drug, meaning that it’s federally classified as illegal. While each state can pass their own laws and the federal government can’t come in and prosecute, federal employers can live by federal rules. Before you apply to a federal job, make sure you’re going to pass your test. Even just being contracted by a federal company could require you to pass a follicle test. While one company in one industry is going to run tests, knowing what companies do hair follicle testing varies from one place to the next. Every company is entitled to test their own way within the limits of the law. If you’re looking to make sure you can pass a blood test, check out our guide for tips on that type of test.